“Infection Legacy is an unbelievable slab of bone-breaking, thrashing death metal that takes no prisoners and instantly pounds the listener into submission. The title track begins spreading the communicable disease with a fast-paced, crushing riff and eerie unnatural guttural growls, and from there the contagion grows like wildfire infecting your ears and eventually your psyche. 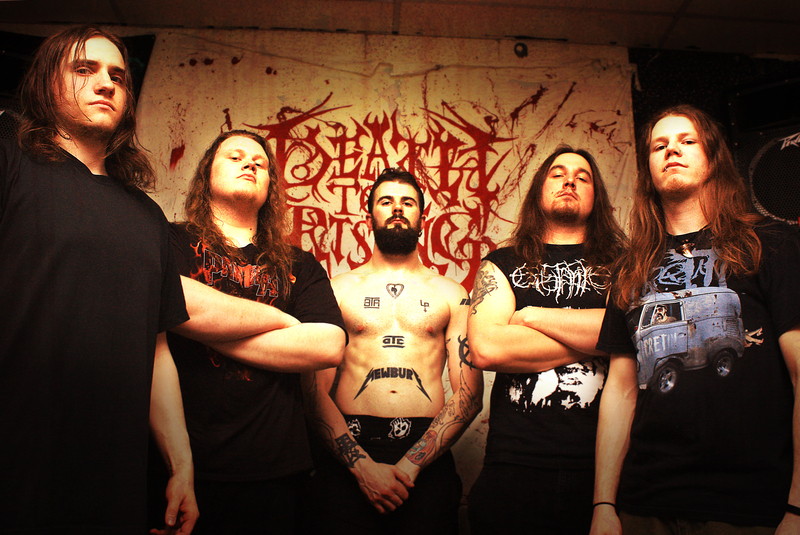 Featuring a combination of Death and Thrash metal, Edmonton-based Death Toll Rising are known to devastate their audiences with their high octane, energetic performances, having shared the stage with high profile names such as KATAKLYSM, CRYPTOPSY, THE HAUNTED, and ABORTED (to name a few). Originally formed in 2003 in Stony Plain, AB, Canada, they have been grinding the Western Canadian metal scene steadily, gaining huge momentum over the last 3 years. New addition Tylor Dory on guitars has introduced a technical and progressive element to the band they have not had in the past. Add in the intense and relentless drumming provided by Bryan Newbury (recently recruited by Canadian Prog/Death powerhouse INTO ETERNITY), as well as the well-rounded rhythm provided by Drew Copeland on guitar and Mike Puff on bass, and you get a monster that is only now being unleashed upon the masses. Vocalist Jesse Berube tops things off with a combination of brutal death growls and Tomas Lindberg-esqe high shrieks. 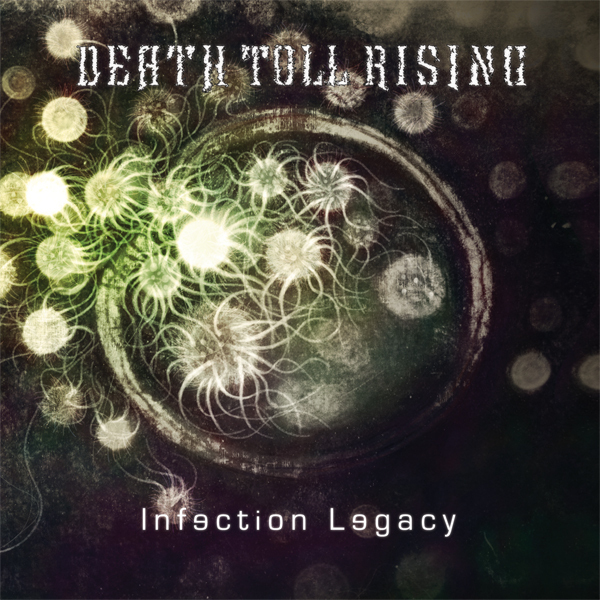 After a successful string of shows and tours throughout 2010 and 2011, in support of their first full length album “Defecation Suffocation”, Death Toll Rising went back to the studio to record their follow up sophomore release ‘Infection Legacy’, now set to be unleashed this coming October 2013. Cryptopsy, Napalm Death, Massacre, Kataklysm, All Shall Perish, Dying Fetus, Obscura, Into Eternity, Suffocation, Bison B.C.